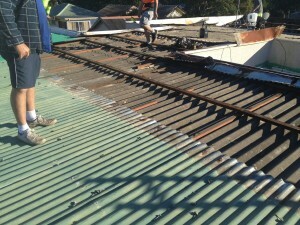 Asbestos roof removal and roof replacement in Colorbond or Zincalume. It’s no secret that exposure to asbestos can present serious health problems. The harmful effects of asbestos have been widely documented throughout Australia and the material has been shown to cause cancer, and even death. If your building or home contains asbestos materials then you should seek the help of Brisbane’s asbestos removal professionals at Queensland Roofing. We are skilled in the area of asbestos removal and know how to properly handle the affected areas in order to to ensure the safest domestic asbestos removal in the greater Brisbane area, the Gold Coast and through out Logan. Not only can the disturbance of an area that contains asbestos end up being hazardous to your health; it is illegal to treat asbestos yourself as its handling requires knowledge. Brisbane residents depend on Queensland Roofing to deliver effective asbestos removal at their commercial or residential property. On some occasions asbestos roofs have had tin roofs laid over the top of them. Asbestos roof need to be double wrapped in black plastic before sent to the tip. Our pricing on Re Roofing from Asbestos to Iron is exceptional. Treating asbestos is a dangerous job that should only be done according to asbestos removal regulations and by licensed asbestos removal contractors such as Queensland Roofing. Treatment of asbestos varies depending on whether the material has been disturbed or not and where it is located. 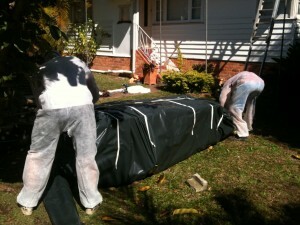 We have countless hours of experience in re-roofing asbestos roofs in Queensland. We also have removed asbestos soffits and ceilings. If you believe there is asbestos in your building or home you should leave the materials alone, stay away from the affected area and call Queensland Roofing immediately. Our Brisbane asbestos removal experts can properly assess and treat the affected area. 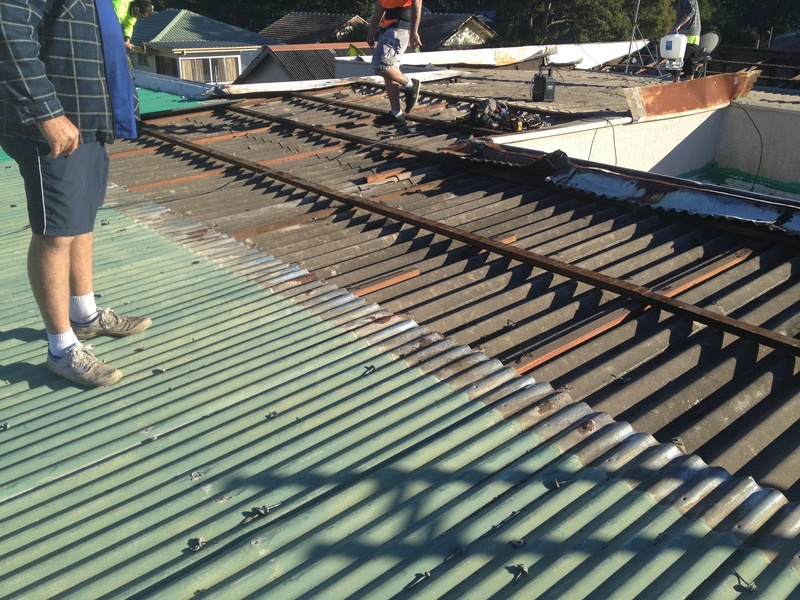 Remove the asbestos roof you have on your home and replace it with Bluescope Colorbond Steel. 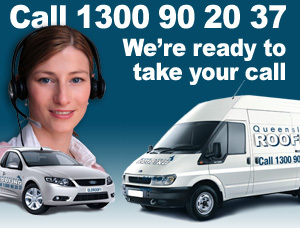 – call us today. We do have to look at your roof and inspect your roof in order to give you an accurate cost of asbestos roof removal. This is still an essential part of the process, however we would be happy to give you estimates over the phone should you just be looking for rough pricing. Assesing your roof includes taking obvious measurements, and then the assessment of the site conditions and a check for any special conditions that may effect the price. However at Queensland Roofing we are also happy to give you an estimate quotation can give you an over the phone roof replacement quotation and are more than happy to explain what you are paying for, if you can give an estimation of the size of your roof. Google seems to be full of people throwing around various ideas of costing of Asbestos roof removal, however there are some guidelines we can offer you that might help. 1) We can estimate the cost using square meters if your roof is simple: If you know the square metres of roof and you want to get a rough quote on roof replacement call us and we can do this for you. Otherwise, just use Google earth to find your property and see if it is clear just contact us via the internet with your address and we will give you an idea of the price. If you are happy to continue to the next stage we will send out a roofing consultant for a further inspection. With a range of costing varying from $80 a square through to $140 a square meter (double sheeted roofs) there can be a variance this way. The costing does include removal of the existing asbestos roof materials and does also include the dumping and disposal cost Replacement roofing in colorbond metal or roof tiles (including the insulation and other materials depending on what options you choose). Some additions that affect the price include steep roofs, and jobs that prove slow due to difficult access. Also cement ridges can cause a variance to the pricing. Most homes that we re roof fall under the same costing structures as each other however there are always going to be jobs that have exceptions.